FIFA is looking at moving the 2022 World Cup from Qatar to USA and Canada. This is a rumor floating around for some time now, but it seems like there is more to the story than just a rumor. Where there is smoke, there is fire, or at least a smoker. According to El Confidencial, FIFA has made a proposal to move the 2022 FIFA World Cup from Qatar to the USA and Canada. Awarding the tournament to Qatar has been under tremendous suspicion of bribery involving some high officials at FIFA. Blatter has been looking at a way to clean the organizations face and perhaps move the tournament away from Qatar is the best solution for everyone involved, including the players. According to El Conficencial an announcement on this decision will be made shortly. The main question remains, will someone have to give all the bribes back to Qatar if the tournament is taken away? That is the questions I am sure is in the minds of many at the FIFA headquarters in Zurich. Mohammed bin Hammam, former Qatari official with FIFA, reportedly paid up to $5 million to buy votes that would guarantee Qatar would get to host the tournament. So if the move of venues occurs, Mohammed won’t be a happy camper. He has 5 million reasons to be unhappy, that is far more than the 99 problems that Jay-Z has. 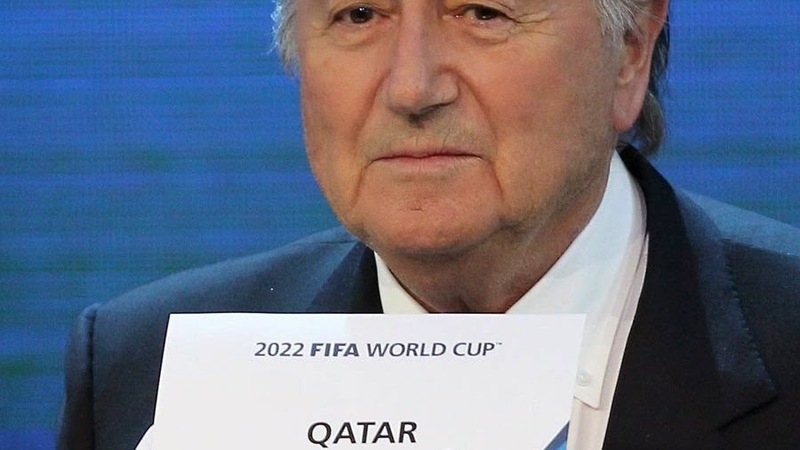 Recently, FIFA officials have confirmed that a new voting would take place if indeed the Qatar vote was done with bribes in the mix, even Blatter has said in public that it was a mistake to award the tournament to Qatar. If not Qatar, then who? A new vote, or just award it to another country that was in the original bidding process, like USA and Australia. The consensus or at least the choice that seems to be gathering the most leverage is moving the tournament to North America. Moving the tournament to the USA and Canada would make the most sense. Infrastructure is in place at most cities, it would take very little cost to ensure the stadiums available in both countries are ready to host such competition. Transportation infrastructure, hotels and all else that revolves around organizing such an event is already in place. It would be a shoe in for FIFA to move it to North America. The tournament is not until 2022, from now till then much will be said and done, but very little of what went on behind closed doors will actually change. FIFA is an old boys club, and as such it will do what best interest them, not the game or the fans.